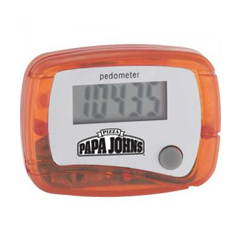 Show your customers, how you can lead them to healthy zone by gifting them this custom printed marathon pedometer. They make perfect gifts for the customers in your list and you can easily do it by adding your slogan or brand logo over it. 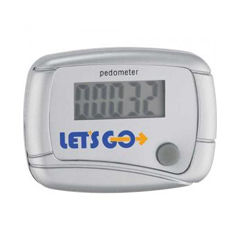 This marathon pedometer makes an awesome giveaway during marathon events, gym openings or gym promotions, walkathon events, fundraiser and charity walks, health camps, nature club events, etc. 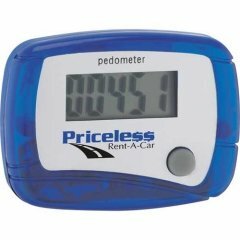 Along with benefits of best buy pricing on bulk orders marketers can easily grab free shipping, free online design proof and lowest set up fee on all orders. Request a quote to know wholesale price savings that you can expect by ordering this promotional marathon pedometer. 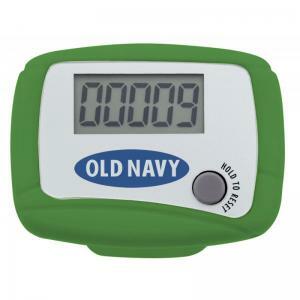 Features – This pedometer comes with a step counter, which can easily count up to 99, 999 steps. Wear it on hip using belt /pocket clip.